36 BOXED CHRISTMAS CARDS - Inside text reads "Warmest Wishes." 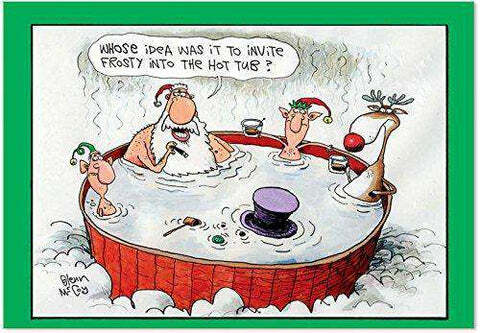 Chilling in the hot tub didn't go so well for Frosty the Snowman. He's melted into a puddle! Send these hilarious cards to your friends and family this Christmas. It'll brighten their holiday season, making them laugh and smile. 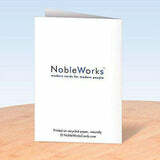 All boxed note card sets ship with envelopes & arrive in a reusable box. 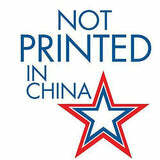 4.75 x 6.625 GREETING CARD SET - These cards are printed on high-quality premium glossy paper for your viewing pleasure. The fine reproduction of these cards lends itself to greater brilliance. Send your message in style this year. We offer a wide assortment of designs and art styles, offering a unique match for men and women looking for the right note card for their special, personal message. WISH A HAPPY HOLIDAYS - There's generous room inside each card. This allows you to write a personalized note to your loved ones. 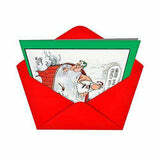 Coupled with your handwritten sentiments, these will certainly brighten any recipient's holiday season. Send them off to everyone you love. We offer greeting cards for all your winter events & occasions, including season's greetings, merry Christmas cards, & happy holiday cards.